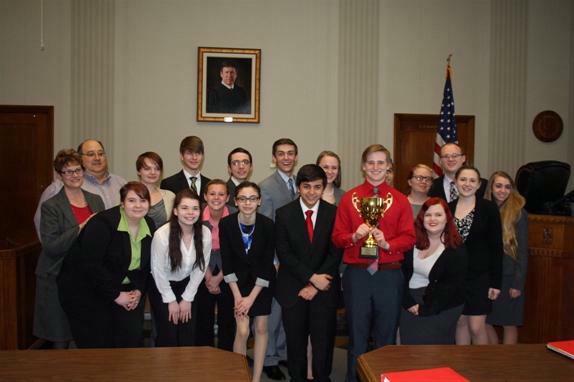 It is time again for the Kansas City division of the Missouri High School Mock Trial Competition. The first round of competition takes place on Tuesday, January 17th and Thursday, January 19th. The second round takes place on Tuesday, February 21st and Thursday, February 23rd. The Lawyers Association of Kansas City - Young Lawyers Section is looking for attorneys to serve as judges for the competition, which will take place downtown at the Jackson County Courthouse. The competition begins at 6pm each night and will wrap up by 9pm (dinner will be provided). Judges are asked to arrive at the courthouse by 5:30pm. Volunteer judges may claim self-study CLE credit in MO for participating. This is a great opportunity to see how enthusiastic these high school students are about the law, and can reenergize and remind us why we love what we do!